Honestly, how much are you ready to spend on your energy bills or AC services this summer? Spring maintenance is much more than spraying your unit down with a hose. Much more. Like a car or any other hard-working piece of equipment, your AC’s got to have a little professional TLC at the beginning and end of each cooling season. The summer months are quickly approaching and maintenance season will soon be coming to an end. You definitely don’t want to discover that there’s something serious going on with your system when you actually depend upon your AC to keep you and your family comfortable when things heat up. Allow us to break down some of the simpler aspects of spring maintenance that can be performed by homeowners, and then we’ll cover the services you’ll need a pro to perform. Check and Replace Your Air Filters – We really, really hope you are doing this already. If not, you’re really going to have a mess on your hands and your system is likely gasping (no pun intended) for air. This is especially true if you’ve got furry friends running around or live with allergy sufferers. If you fall into this category, we recommend changing your filter more frequently. For the rest of you, simply replace your filter according to dimensions and the manufacturer’s instructions. You can find a whole aisle of them at the home improvement store. Homeowners are more likely to replace their air filters on time if they always have a spare stashed away, so consider investing in multi-packs. Maintain Your Carbon Monoxide and Smoke Detectors – Let’s face it; your detectors protect you from potentially life-threatening emergency situations. If you haven’t done this in a while, stop what you’re doing (after you finish reading, of course) and go pick up a pack of batteries. Get in the habit of changing the batteries and testing the detectors now and again in the fall. If you don’t have smoke or carbon monoxide detectors installed in your home, go back and re-read the first sentence of this paragraph. Clear Away the Junk – If the area around your unit is in need of a trim, you’ll need to take care of this chore before the summer hits and keep it maintained while your AC is in use. If you attempted to hide an unsightly AC with bushes and shrubs, you’re going to want to make sure that they aren’t crowding the unit. From a professional perspective, you might want to remove them altogether. An air conditioner is a rather complex piece of machinery with all of its components, coolant, bells, and whistles. That’s why each Reliant NATE-certified HVAC technician is properly trained to analyze and diagnose potential problems with your system and literally wears these qualifications on their sleeve. The bottom line? We know what to look for, and we can save you a lot of cash and headache down the road when a preventable breakdown occurs. We perform a 20-point inspection with each routine maintenance visit, and take care of the coils, fins, drains, and other critical components of your system, both inside and out. Proper maintenance can help your unit last decades. On the flip-side, a neglected air conditioner loses roughly 5% of its efficiency each year that it operates without upkeep. Inspect the condensate drain in central heating and air units and heat pumps (for cooling modes). Plugged drains cause overflows and water damage, affecting indoor humidity levels. Functioning controls ensure safe and proper operation. We check that the system cycles run properly. Check the evaporator and condenser air coils. Dusty, dirty coils reduce a system’s ability to cool your home. They cause the system to run longer, raising energy costs while stressing the life of the equipment. Adjust and check the refrigerant level of your central air conditioner. Too much or too little refrigerant is another symptom of a less efficient, energy-increasing, and life-reducing system. Clean and adjust blower component. This provides proper airflow for greater comfort. Airflow problems cause system reduction by up to 15%. Like to plan ahead? 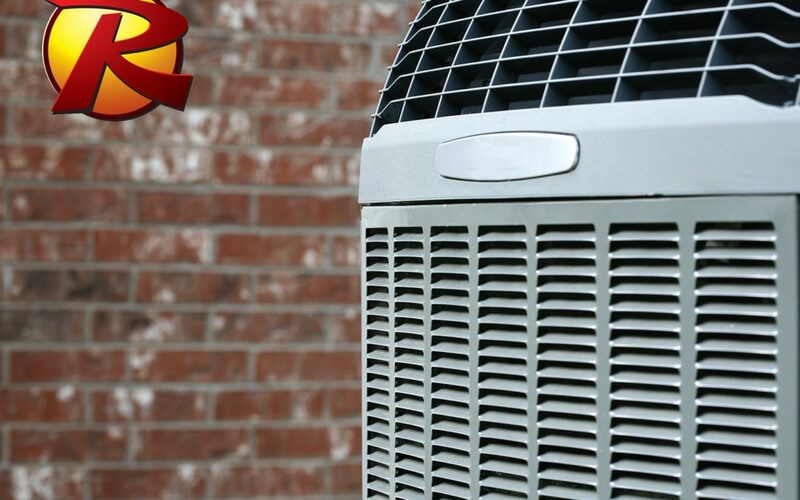 Protect your heating and air investment and save money on high-energy costs by joining the Reliant Air Conditioning Hero Club. Monthly payment plans are available starting at $13.75 per month for residential customers with one unit, and you can conveniently join the club and start your payment plan online by clicking HERE.